Meanwhile, Washington's robust local activist community is also gearing up for counter-protests. The white nationalist movement has partially splintered in the past year, with some blaming Kessler for the bad press generated by Charlottesville. Several white nationalist leaders have disavowed Sunday's rally and asked their followers not to attend. With Charlottesville police widely criticized for their handling of last year's rally, D.C. authorities are vowing to prevent violence. 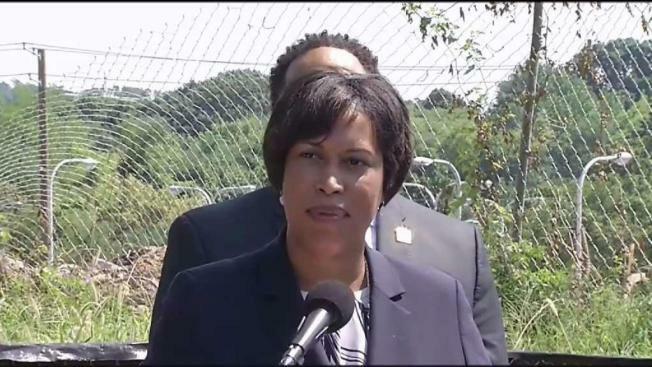 Mayor Muriel Bowser and Police Chief Peter Newsham have promised a massive security mobilization to keep protesters and counter-protesters apart. "We have a number of techniques to keep them separate," Newsham said. "We're accustomed to protests in Washington and the rules are pretty simple: don't hurt anyone and don't break anything." Airbnb says it may remove accounts of users who plan to participate in the "Unite the Right" rally in D.C. on Sunday. A spokesperson for Airbnb told News4 in an email that the online housing service will "take appropriate action, which may include removing them from the platform." "We acted in advance of last year's horrific event in Charlottesville and if we become aware of similar information we won’t hesitate to do so again," spokesperson Nick Papas said. Airbnb cancelled accounts and bookings from Unite the Right protesters ahead of the 2017 rally, NBC News reported. One woman died and others were injured when a driver rammed into a crowd of counter-protesters at the rally.